Vernon Davis kicks off Sleep Out America by donating clothes to Covenant House Washington. Washington, DC – Washington Redskins, tight end Vernon Davis sponsors Vernon’s Closet in support of Covenant House Washington by donating clothing from his personal closet to Covenant House youth on Friday, September 8, 2017. 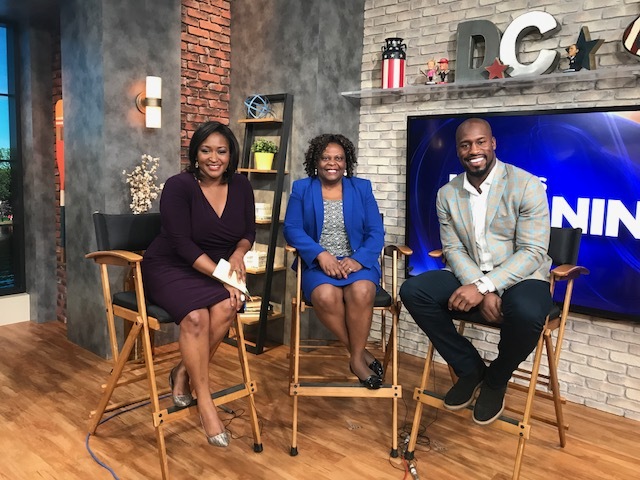 “It is my desire to use Vernon’s Closet as a way to raise more awareness to homelessness; especially amongst DC area youth and hopefully encourage others to get involved as well” says Vernon Davis. This event will kick off Sleep Out America 2017, as Davis challenges members of the community to get involved by donating clothes, canned food, and signing up to participate in CHW’s Sleep Out America to support homeless, disconnected, and exploited youth in the Greater Washington Region. Vernon’s Closest will host a clothing donations pop up shop for the youth at Covenant House Washington’s SE Campus 2001 Mississippi Ave SE, Washington, DC 20020. Members of the community are encouraged to get involved by donating cold weather clothing items and sign up for Sleep Out America for your chance to receive a personally autographed football from Vernon Davis.